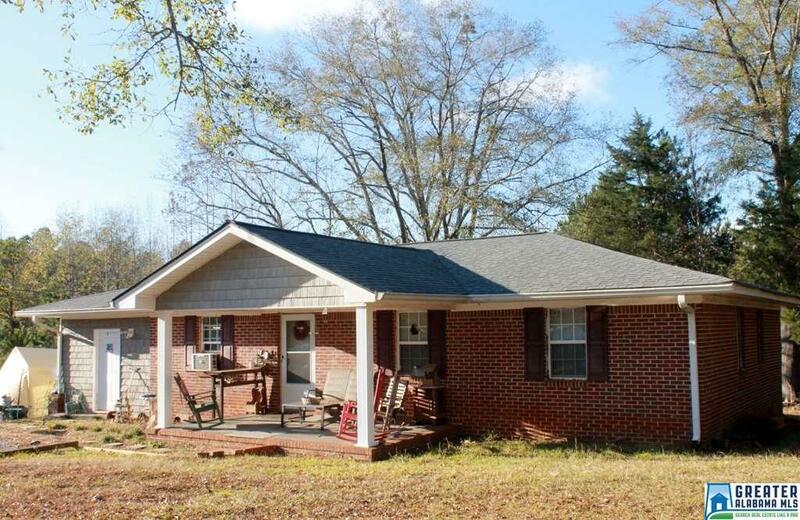 This quaint, older 3 bedroom/2 bathroom 4-sided brick home sits on 6.5 private acres with creek frontage and still has all its charm! Inside you will find 1624 square feet of living space, beautiful hardwood floors, updated double-paned vinyl windows, and an open concept plan with the kitchen, living room, and dining room. The kitchen is renovated with new cabinetry and a tiled backsplash. The master bedroom is spacious with a fully tiled shower, and large walk-in closet. The other 2 bedrooms share a hall bathroom with a tub/shower combo that has also been tiled. The carport has been closed in to make a cozy den great for watching sports and movies. The laundry room is located on the main level. There is an extra larger back deck that is right off the kitchen perfect for grilling and relaxing outside. The roof was replaced in 2012.